What was Rock Against Racism? When Eric Clapton launched into a drunken racist tirade at a 1976 concert in Birmingham, he inadvertently helped spark a movement to combat the prejudice endemic in British society: Rock Against Racism. With its peak activity over the next five years, the group set out to argue for a multiracial, multicultural country, expressed through a series of concerts, carnivals and demonstrations. Alongside battling racist groups, Rock Against Racism ended up running around 500 mixed bill concerts that put The Clash with The Specials, and Elvis Costello with the Au Pairs. By colliding different bands and genres, audiences were able to joyfully co-exist – it was a movement that with an audience of tens of thousands. Throughout the period, core member of the group and professional photographer Syd Shelton utilised his skills to express his take on the movement and the society of the time. This period of his work depicts ecstatic young people at concerts, angry skinheads on the street, and hugely successful musicians and demonstrators protesting against fascist groups like the National Front. 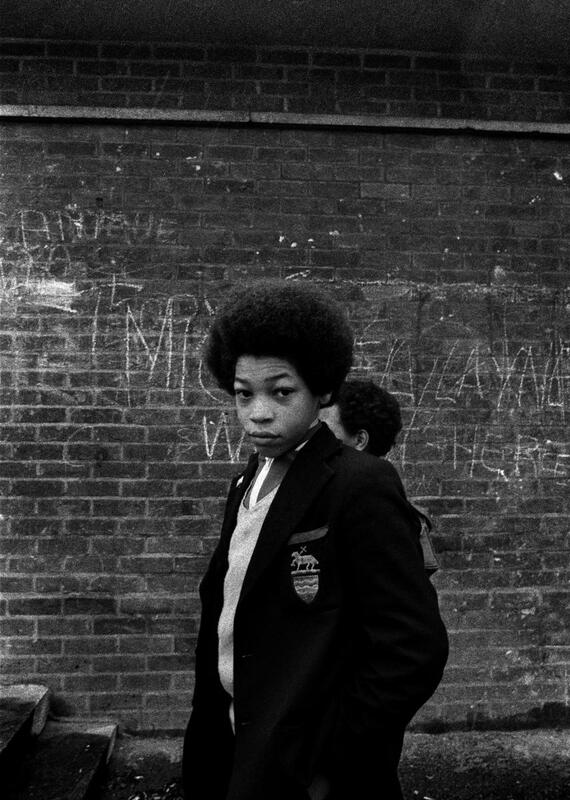 Syd's work has been collected into a photo-book about the time, so we got in touch to show off some of his images and quiz him on his recollections from the time, his favourite image and battling racism in contemporary Britain. Having spent much of the early 70s in Australia, what was the atmosphere of the British society you returned to? Syd Shelton: When I came back to the UK I realised that things had changed a lot. Racism was becoming normalised. Prejudiced jokes were so frequent on TV; the National Front was getting up to 17% of the vote in local elections; and the police were openly racist, particularly against black youth. What did you, a core member of the group, want Rock Against Racism to achieve? The originals goals were to argue for a multicultural society and a multicultural music scene, an argument that we won. We always put black and white bands on the same bill. Whether it was a carnival or a demonstration with 30 different bands, it was always a mixture. We didn’t try to make things change by shouting slogans from the stage – the example itself was a political act. People aren't born racist and can change. 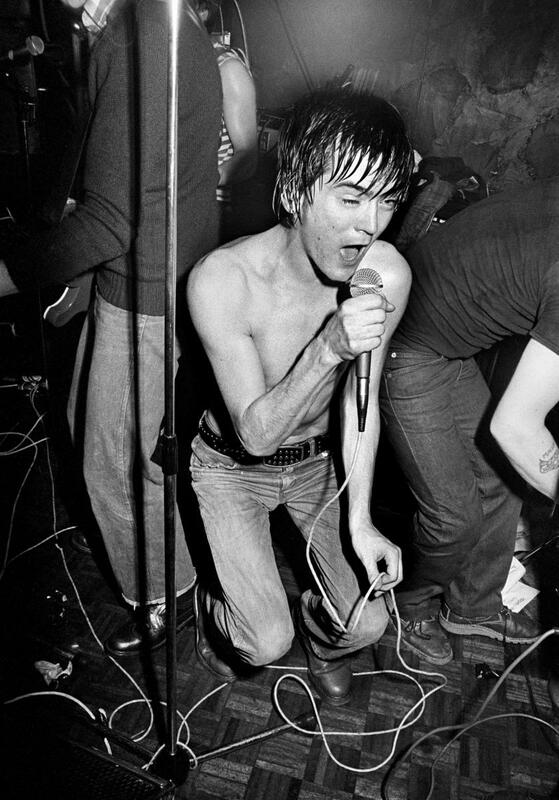 Do you think current musicians live up to the standards of Rock Against Racism bands? I think musicians nowadays do, in the main, a really good job at combatting racism. Bands now are more multicultural and multiracial, a world away from idiots like Eric Clapton that spoke up for Enoch Powell, even though his entire style was based around American blues music. We have to recognise people’s contributions to music, especially that of black people in the formation of rock music. "PEOPLE AREN'T BORN RACIST. THEY CAN CHANGE." How did you use photography to document the time and challenged the engrained views? I’ve always viewed photography as a form of visual argument and I’ve always used it as a means to project my ideas about the world. A good example is that at the time of Rock Against Racism, it was also the height of the Troubles in Northern Ireland and the IRA’s bombing campaign in mainland Britain. I went to Northern Ireland several times over the period to shoot because I wanted to put faces to the people we were talking about. We’re seeing this approach more and more in how migrants in Calais and refugees across Europe are portrayed. My work is a visual argument and anyone who considers themselves to be an objective documenter is joking – everyone has their opinions they're looking to fuel. What was your favourite picture you took at the time and why? My favourite image is the one of three young black people in Leeds at the last carnival Rock Against Racism did – it was the last Specials show before (keyboardist, songwriter) Jerry Dammers split off. The three of them were really into the music, but what was important was that they re-appropriated the style of the skinheads. They’re wearing Ben Sherman button-down shirts, braces and Harrington jackets, so it’s gone full circle; the original skinheads got their visual style from the rude boys, now the rude boys took the style back from the skinheads. "ANY PHOTOGRAPHER WHO CONSIDERS THEMSELVES AN OBJECTIVE DOCUMENTER IS JOKING." Many contemporary racist movements, like UKIP, try to hide their prejudice. Do you think it's harder to tackle racism today? It is. It’s now a lot more subtle and a lot more difficult to pinpoint. It’s always there, it’s like a rat that you beat down into the sewer and it emerges a few feet down the road. You have to be constantly conscious of it, especially when things get difficult economically and people’s lives get tough, struggling to afford places to live. It’s easiest to turn around and blame the weakest person, someone who’s lower down the pile than you are. That’s what UKIP, the BNP and the Blackshirts all exploited. Putting together a book, how do you approach a topic as vast as documenting an entire movement over a period of years? That’s an interesting and good question. One of the things that I’ve argued about with this exhibition is that it’s really autobiographical. What I’m trying to say is that this isn’t an overview of the time, or even of Rock Against Racism, but an account of personal involvement in those years. There are lots of different stories that people tell about that period – the Vivienne Westwood version, the Malcolm McLaren opinion – but Rock Against Racism is almost in danger of being written out of history. We never got huge amounts of publicity apart from the carnival, which appeared on the 10 o’clock news, but disappeared after that. Never mentioned again. Historical truth will never take into account every opinion, so this book is my argument for the period. It was an exciting time where we were making a change. Buy 'Rock Against Racism' by Syd Shelton from Autograph APB and check out upcoming exhibitions at their gallery in Rivington Street, East London.